Dr. Aiyar obtained his PhD in 1994 from Case Western Reserve University, where his mentor was of Dr. Jonathan Leis. For his dissertation, Dr. Aiyar studied the processes of reverse transcription and integration in retroviruses. 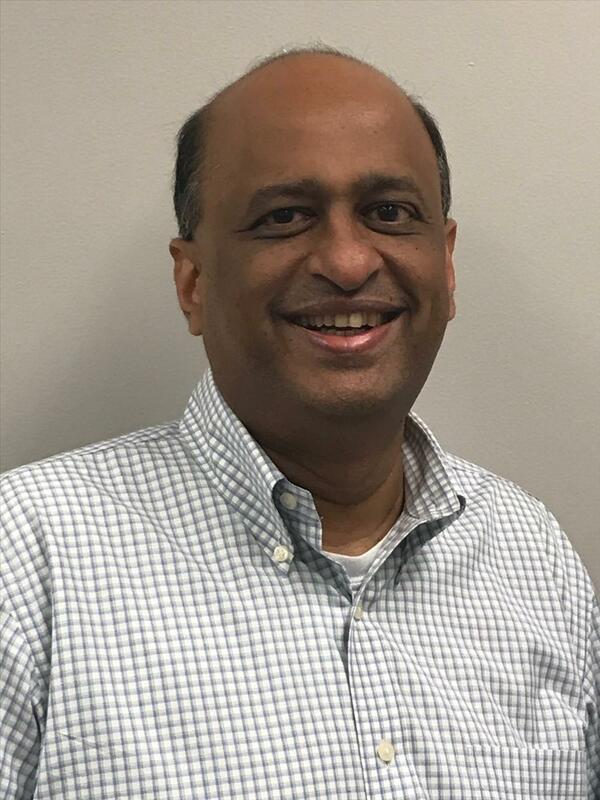 Following his graduate training, Dr. Aiyar conducted his post-doctoral research (1995-1999) under the mentorship of Dr. Bill Sugden at the McArdle Laboratory for Cancer Research, where he was awarded a Special Fellowship from the Lymphoma & Leukemia Society. During his post-doctoral studies, Dr. Aiyar worked on Epstein-Barr virus, an oncogenic human herpesvirus. Dr. Aiyar was an Assistant Professor in the Department of Microbiology, Northwestern University Medical School (Chicago, IL) from 1999-2005. At Northwestern, Dr. Aiyar continued to work on Epstein-Barr virus. His research was supported by a Howard Temin Extended Service Award from the National Cancer Institute. Dr. Aiyar moved to LSUHSC in 2005, as an Associate Professor in the Department of Microbiology, Immunology and Parasitology. Dr. Aiyar's laboratory continues to be supported by funding from the National Cancer Institute. My lab is interested in the molecular basis of pathogenesis associated with intracellular microorganisms. We have previously studied pathogenesis associated with Epstein-Barr virus (EBV), a herpesvirus that was the first oncogenic human virus discovered. These studies were focused on the mechanisms by which viral DNA-binding proteins permitted EBV genomes to associate with human chromosomes and facilitate distinct programs of viral gene expression during oncogenesis. Currently we focus on Chlamydia trachomatis, an obligate intracellular bacterium that the leading bacterial sexually transmitted disease with consequences including infertility. In addition, chlamydial infections are the leading infectious cause of blindness (trachoma). We are particularly interested in determining how Chlamydia modulates intracellular signaling pathways to escape the protective effect of host cytokines. Our studies have focused on the effect of chlamydial infections on host transcription factors that drive this protective response. Additionally, we are interested in examining mechanisms by which the poly-microbial environment, present during natural human infections, ameliorates the effect of host cytokines on chlamydial infections. We anticipate the outcome of our studies to permit the discovery of novel therapeutics against Chlamydia, and facilitate the design of protective vaccines against this insidious bacterium.